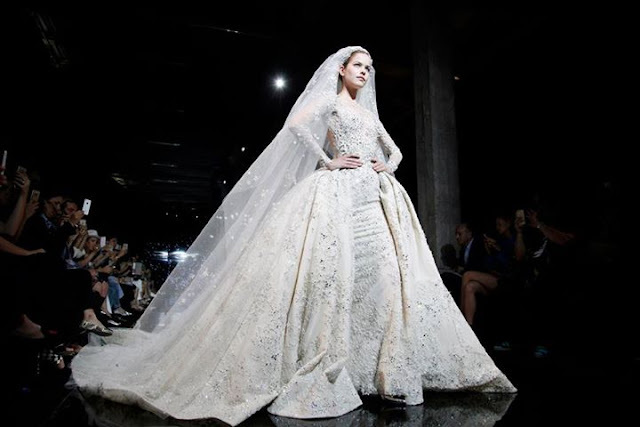 This July, Zuhair Murad presented "Star Catcher", the fall winter 2015 - 2016 collection at the Orbe New York. 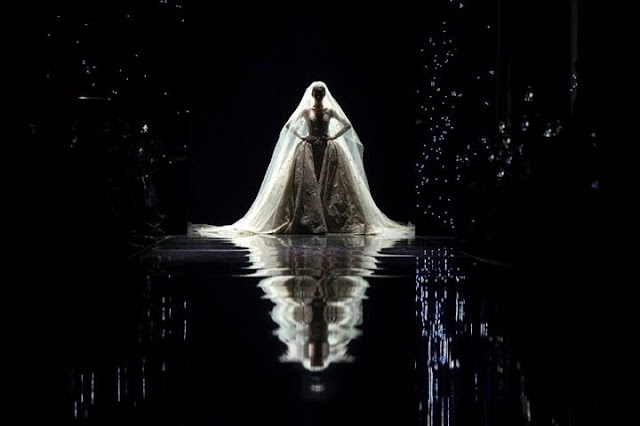 It was a collection that sparkled as discreet and charming as stars in the dark wide sky. This was one of the wedding dresses presented on the catwalk, and it was absolutely fabulous. A classic line at its finest, this princess dress is going to make you the belle of the ball! 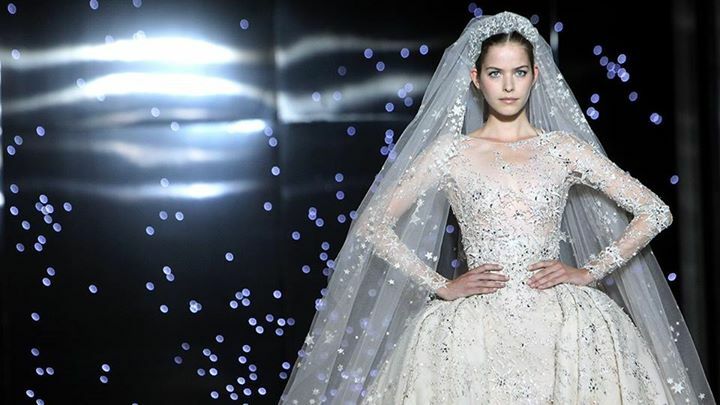 Heavily hand-embellished, this long train bridal gown looks like it is out of this world.